Have you ever wanted to pit your favorite comic book characters against one another to see who would come out on top? The new video game VS. 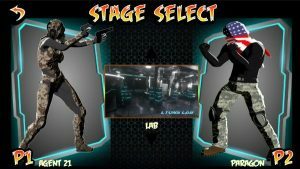 Round 1 takes this idea and brings it to the indie comic book realm, where characters from different independent publishers and creators can face off against one another for the title of the world’s greatest indie superhero. The idea is an excellent one, taking inspiration from the many iterations of the Marvel v. Capcom type fighting games and bringing it to the extremely open world of independent comic book creators. By using this method, VS. opens itself to a tremendous opportunity for its roster of heroes for the future. The early-access version will only include 4 heroes, with 4 more to come in the next update. The overall impression the game tries to convey is one of comic book inspiration. From the introductory video to the menus, the entire style is one meant to immerse the user into an indie comic book world. The music works well with the style, invoking a sense of danger and finality to the match at hand. The artistic style works well in some ways, and in others is lacking in polish. The cartoony, polygon shapes of the characters works well on some of the backgrounds, but in others, such as the lab stage, the background work can come off as too blocky and uninspiring. The character models are also a mixed bag. Characters with clothes or costumes that cling to their body look great, but flowing robes or capes tend to appear static and unmovable. Fortunately, gameplay is a strong point for the game. 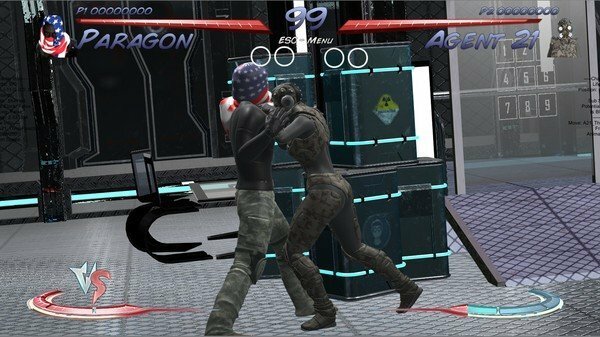 VS. takes direct inspiration from Street Fighter in its move set and balancing, and one can tell immediately that true fighting game fans crafted this game. The game is very easy to pick up and play for a newcomer, but a “button masher” will be quickly outmatched by a player who has a coherent strategy. The button scheme is also easy to pick up, with light punch/heavy punch, light kick/heavy kick, and grab button instead of multiple button combinations. Air based fighting feels slightly stiff, and jumping-based moves are not quite as fluid and their ground-based counterparts. Special moves are contained to quarter circle forward and quarter circle back variations allowing for easy input and easy counter moves, making for fast paced matches based on true skill rather than accidental button inputs. Gameplay can sometimes have frame rate hiccups with more exaggerated supers, but for the most part matches flowed relatively well. 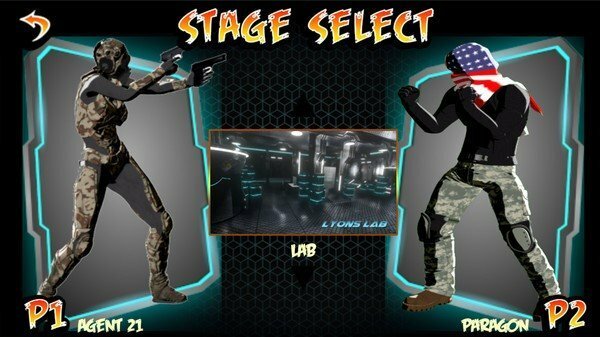 The first four characters were well thought out by the VS. team, as Agent 21, Paragon, Stealth, and Hooded Cobra all have varied styles of fighting and different strengths and weaknesses within each match up. Agent 21 is a combo machine complete with quick strikes and projectile weapons but for all her quickness, she lacks strength. Paragon is a strong titan with very powerful moves and the ability to fly, but he is slow and takes time to build up his strongest attacks. Stealth is a classic rush down character, with jumping skills and kicking combos, but he has no projectiles and must get close to do damage. Hooded Cobra is countering machine. One of his super moves is dedicated to countering ground attacks, and he is the only character currently with an anti-air attack, but he is susceptible to projectiles and timing based strategy. Overall this is a strong starting roster. I am curious to see how the other 4 characters are integrated into this group, because the balance with the first four fighters is top notch. VS. is clearly in early-access mode. The graphics and gameplay are not completely polished. There are only four fighters to start. But is the game fun? VS. answers this with a resounding yes. The game will be more deserving of a full review once Story Mode, Online Matches, and more fighters are introduced. But for now, if you are an indie comic fan or a fighting game fan looking for something new and unique, I recommend hopping on Steam and picking up this game.